Researchers from the University of Utah developed Spintronics devices that can convert heat into electricity. Those thermoelectric devices work at room temperature and don't require a continuous external magnetic field. 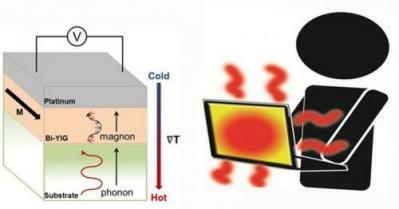 Those devices (that can convert even minute heat to electricity) function on a concept known as spin-caloritronics, in which thermal and electrical transport occurs in different parts of the device.